Zhou Xun says she had suffered emotional breakdown while trying to portray her role in the WWII espionage film "The Message". Award-winning Chinese actress Zhou Xun says she had suffered emotional breakdown while trying to portray her role in the WWII espionage film "The Message". "I often felt exhausted, and literally collapsed several times," the Asian Film Awards' best actress said Sunday at a press conference in Beijing, where producers announced October 1, China's National Day, as the film's release date. Calling "The Message" the most challenging film she has ever been involved in, Zhou says much of the time she had to rely on alcohol and sleeping pills. The pressure was also felt by other crew members, according to co-director Gao Qunshu. Difficulties mainly come from the incomplete scripts. "The Message", set in Japanese-occupied China in 1942, tells a story of a Japanese spy chief trying to identify a Chinese agent, Lao Gui, from a gathered group of suspects. Zhou Xun's character, a code-breaker named Gu Xiaomeng, is among them. To ensure the film's biggest attraction, the actor who plays Lao Gui has been kept under wraps and is not in the script. 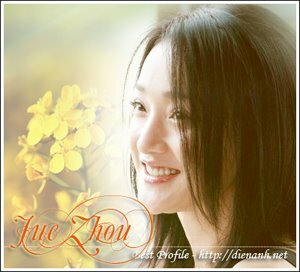 Zhou Xun says like their characters, the actors were always guessing who Lao Gui was while trying to fit in the story. Gao Qunshu and Kuo-Fu Chen, who are co-directing the film, have reportedly prepared several versions of the ending, and will decide Lao Gui's impersonator when they edit the film, based on each actor's performance. "The Message", produced by leading entertainment producer Huayi Brothers, is the company's tribute to the 60th birthday of the People's Republic of China.